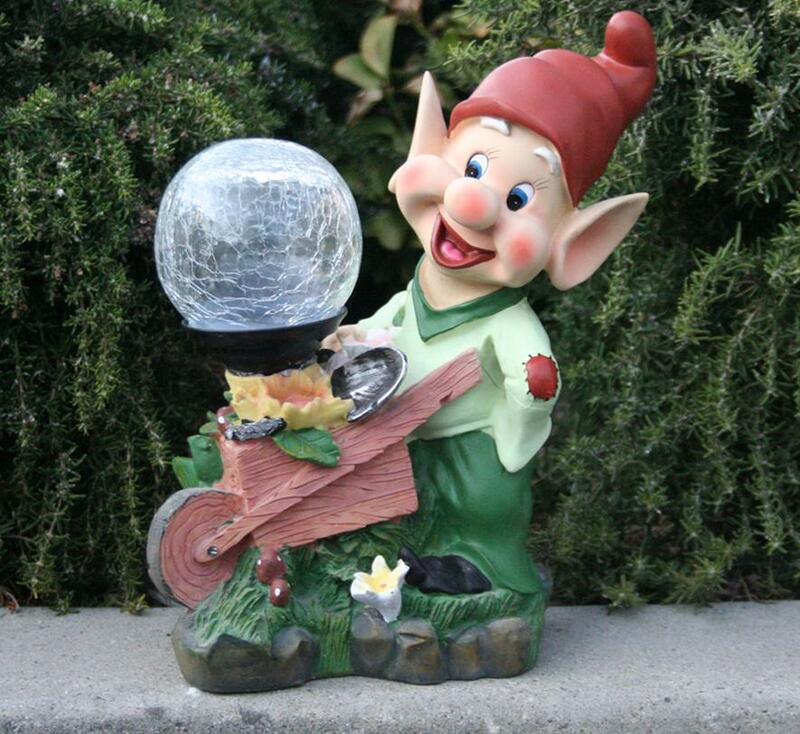 Add this colorful garden dwarf with crackled glass solar light to your landscape, flowerbed or any outdoor setting. The solar garden dwarf features 11” tall green dressed dwarf pushing a cart with a crackled glass solar light and surrounded by flowers. The crackled glass solar light turns on automatically in dark conditions, and lasts up to 8 hours when fully charged. This solar dwarf is fast and easy to install. No wiring needed. This statue makes a wonderful gift for any dwarf collector.